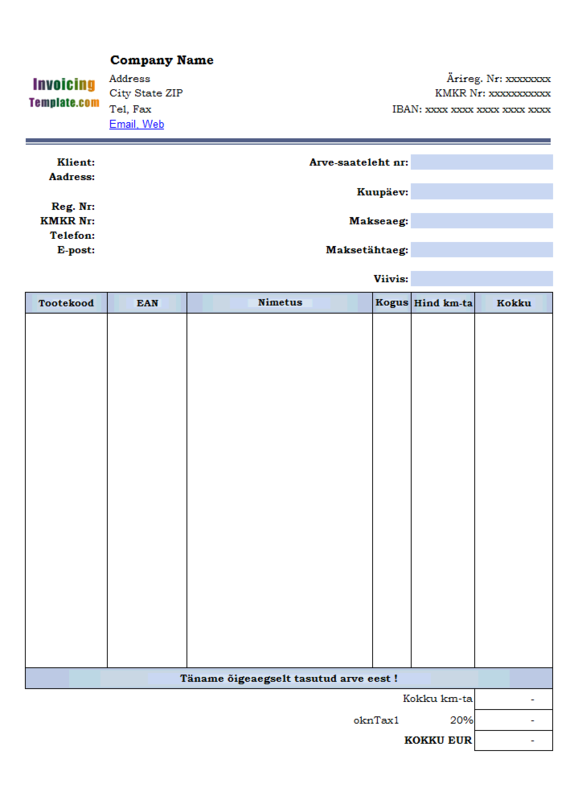 This free bill format for computer repair service is an Excel spreadsheet template in ".xlsx" format. 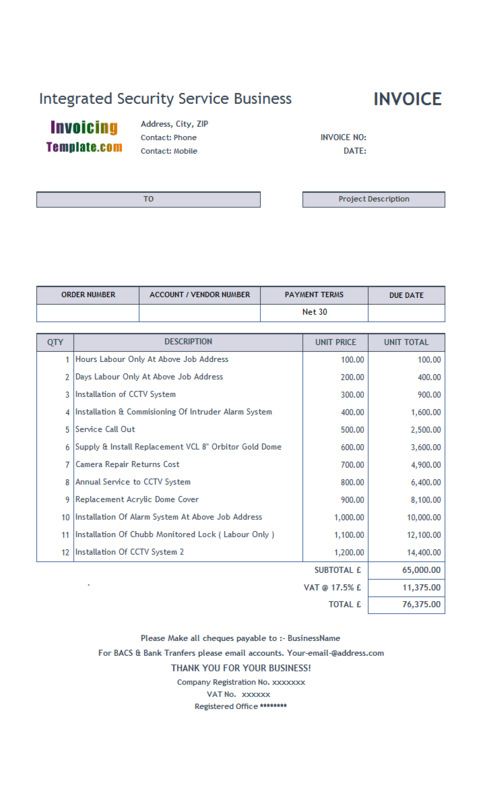 You can also download the free PDF sample invoice. 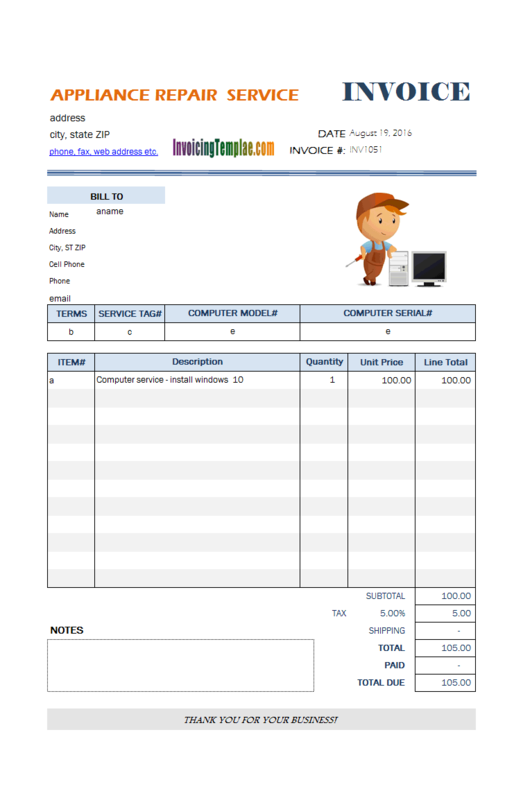 Use this template to create service invoice for repairing PC, tablet, mobile phone and other computer related devices. 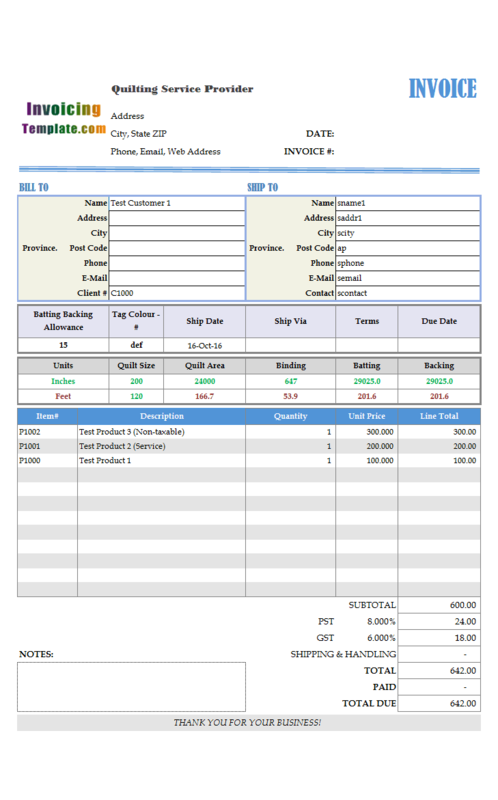 c5096 now includes the customized invoice template for the latest version of Invoice Manager for Excel. This is what you will see when you open bill-format-computer-repair-service.xlsx. 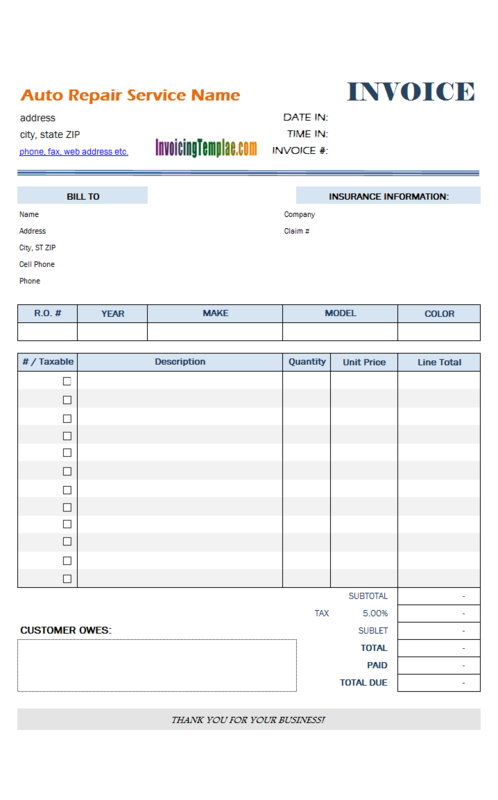 This blank bill template is a variant of c5020 Appliance Repair Service Bill Template / Appliance Repair Service Invoice Template here on InvoicingTemplate.com. 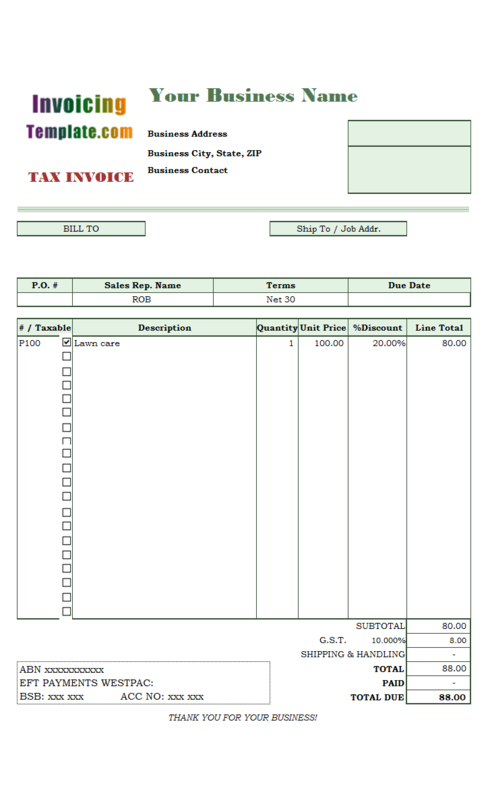 Like c5020, as a service invoice template the form does not offer the "Shipping Address" section. 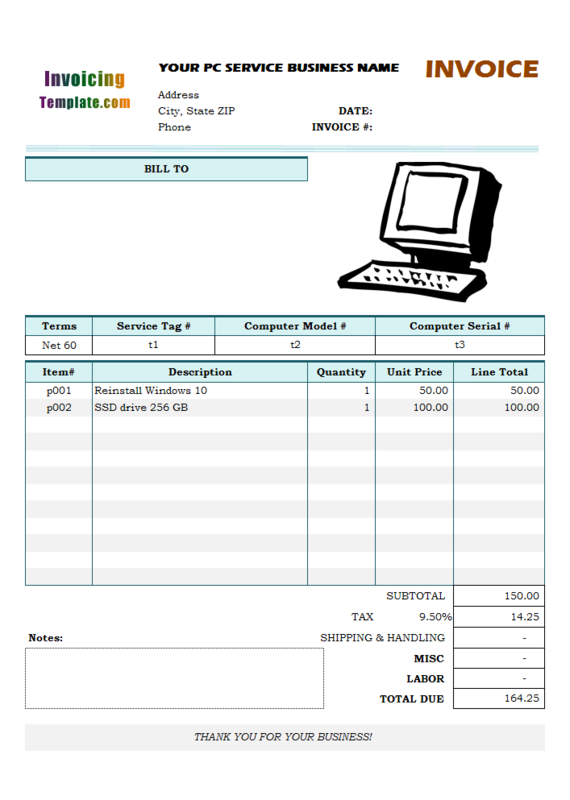 To fill the blank left by moving the shipping fields out of the printable section, a carton image of a desktop computer was added. This is a vector image with transparent background so you can easily resize it by dragging the image border in design mode. 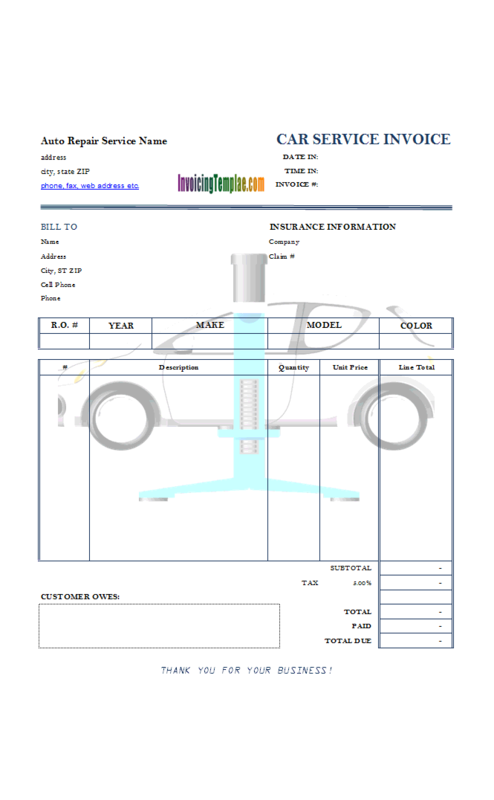 Visit printable invoice template to find more options and tutorials on customizations related to printing and page setup. 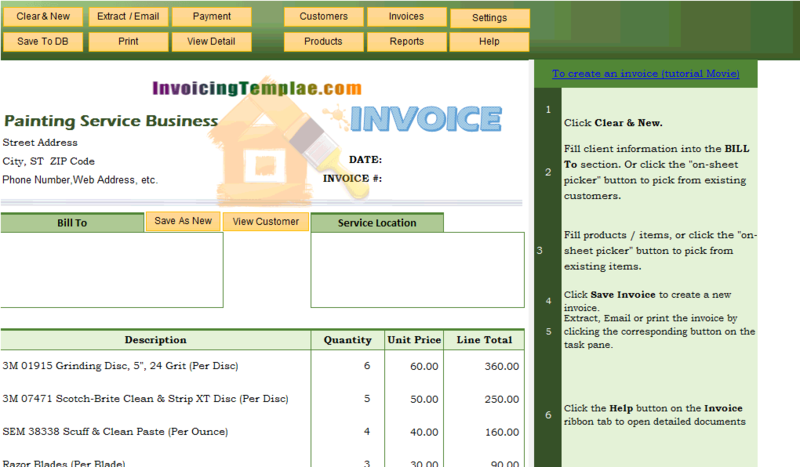 On the heading section, there are spaces for a logo image, your computer repair business information, a big text title "INVOICE" indicating the type of this document, and also the two most important fields for any invoice - the invoice# and invoice date cells. 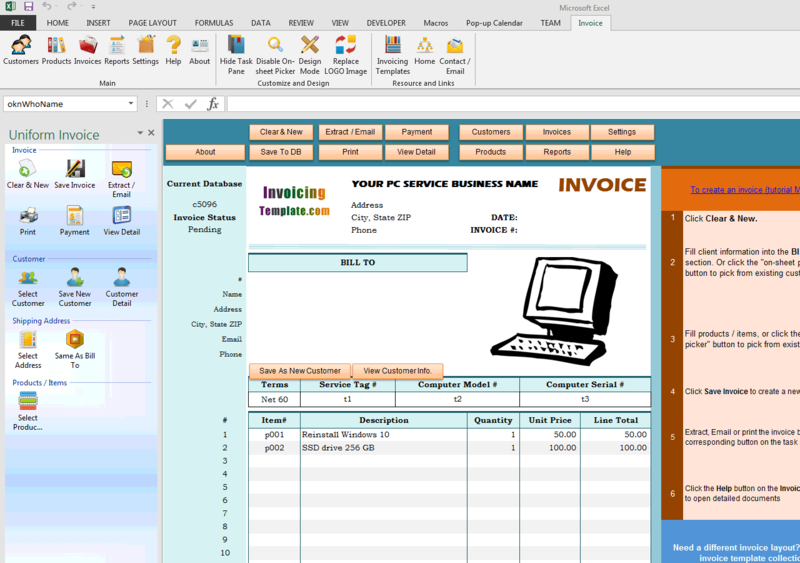 If you have Invoice Manager for Excel (namely Uniform Invoice Software) installed, our invoicing software app is able to generate increment and unique invoice numbers based on a counter inside database. This "auto numbering" feature is a huge time-saving functionality as you don't have to manually create and track used invoice numbers again. 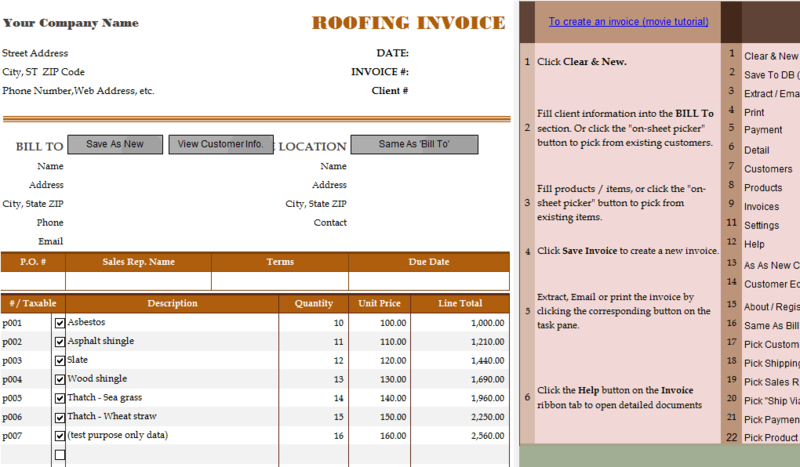 The "Bill To" section includes 6 fields - client#, name, address, city state and zip, email and phone. 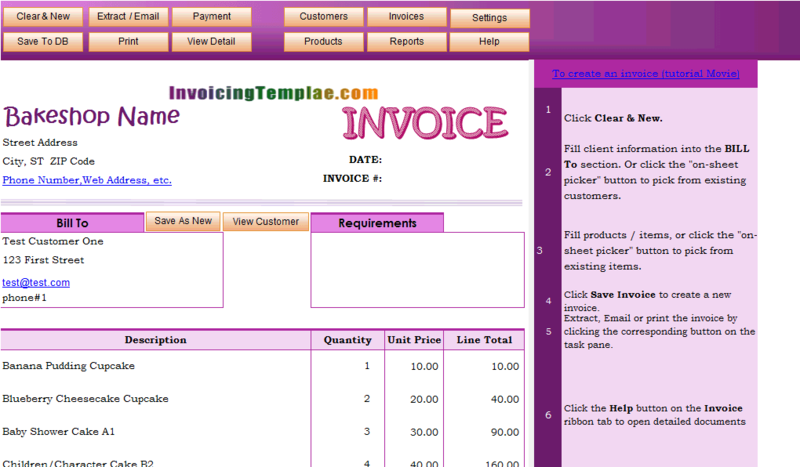 In many situations email is a key field now, especially if you want to send PDF invoices to your clients via email. 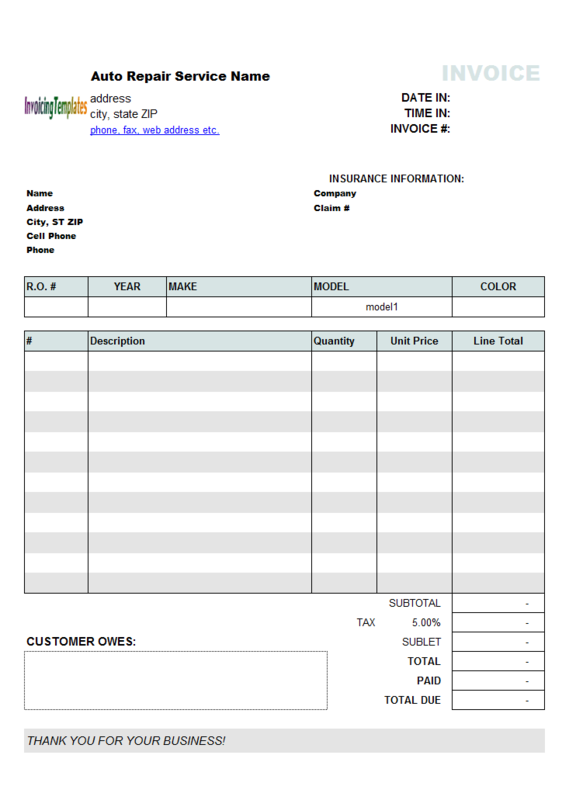 By adding the email field to the "Bill To" section, you are able to create new customer records along with their email address populated; and besides that, it also ensure you can send a PDF version of the invoice to the customer by simply clicking the "Extract/Email" button. 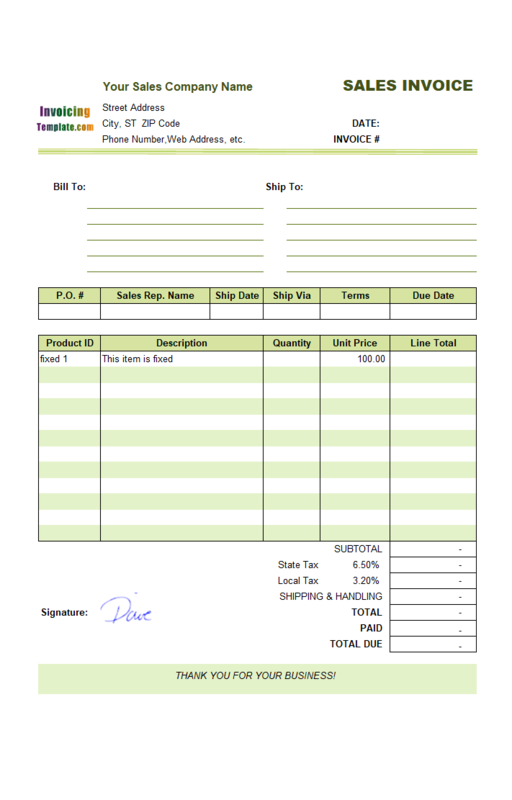 Note that Invoice Manager for Excel (namely Uniform Invoice Software) now supports PayPal payment buttons on PDF invoices too. To add a PayPal payment button to the invoice form, simply click the "Add / Update PayPal button" command on the "Invoice" ribbon tab, and then follow the wizard to add and customize the PayPal button. 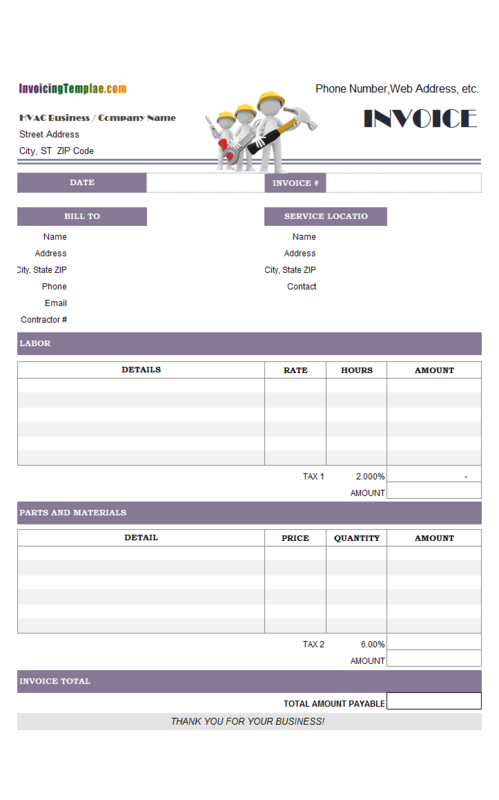 Unlike c5020 template, this computer service invoice template has two custom fields, "MISC" and "LABOR" on the bottom section, which allows you to enter other charges or discount amount to your bill, in addition to those itemized costs listed on the invoice detail section. 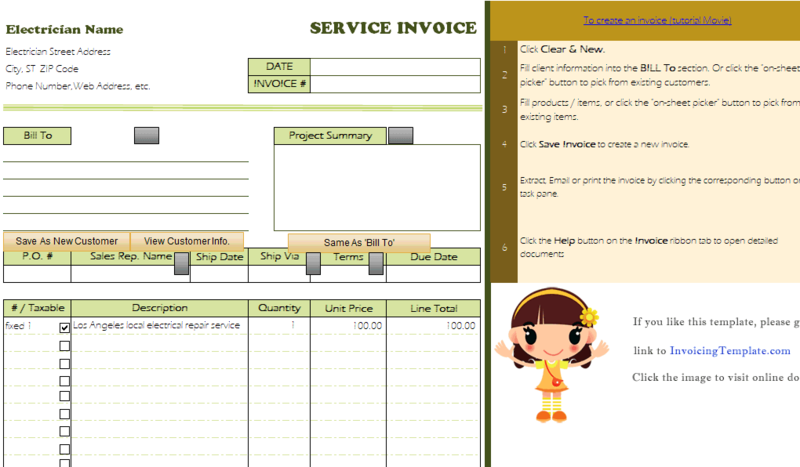 Like other form designs here on InvoicingTemplate.com, Invoicing Template for Computer Repair Service is free (offered to you at a price of 0.00USD). It works on Windows XP and all newer versions of Windows, and Excel 2007, 2010, 2013 or 2016.